A tiny baby pangolin was just a few days old when she and her mom were rescued from traffickers by local rangers in Vietnam. Sadly, the ordeal of being stolen from the wild was just too much for her mom to handle, and she passed away. So the little baby, now named Kim, is being raised by people who know just how important it is for her to survive. "Unfortunately, the mom died right after," Phap Nguyen, communications officer at Save Vietnam's Wildlife (SVW), the rescue center where Kim ended up, told The Dodo. "We have been hand-raising her ever since." 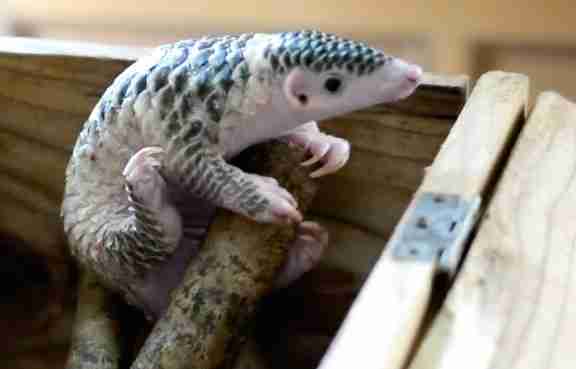 Pangolins are the most trafficked mammal in the world, stolen from their natural habitats in Asia and Africa and smuggled across borders in tiny boxes and bags. 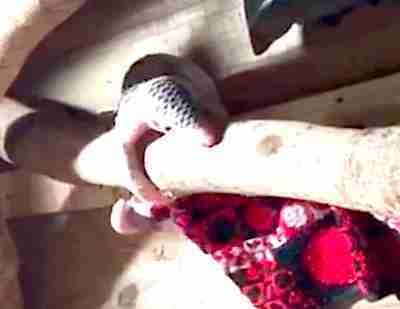 That's because pangolin meat is considered a delicacy in some parts of Asia, and pangolin scales are falsely believed to have healing powers. Over the past decade, it's estimated, at least a million pangolins have died because of the pangolin trade. Rescuers at SVW are bottle-feeding Kim, as well as some other very young pangolin orphans, six times a day so that she can grow up strong. "She is doing really well and making some significant development, which is very rare because there were only a few successful cases with hand-raising baby pangolins in the world," Nguyen said. Luckily, it isn't just local rescuers who are stepping up to save the naturally shy, nocturnal animals from the brink of extinction. In 2016, CITES (the Convention on International Trade in Endangered Species of Wild Fauna and Flora) increased its protections of pangolins, officially banning the trade of all eight species. 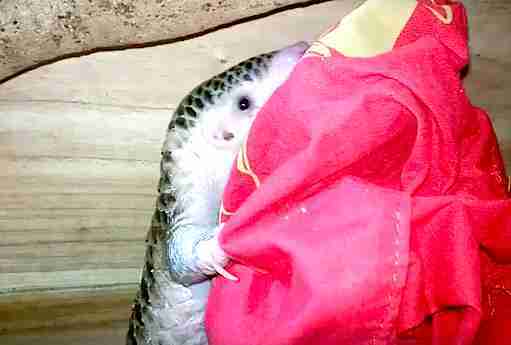 Kim, meanwhile, is becoming a strong pangolin. Over the last few days, she's been learning how to climb, which will come in handy when she has to climb trees in the wild. "When Kim is mature enough, maybe 1 year old, we will release her," Nguyen said. Even though she's still a little clumsy, she's slowly getting the hang of it. 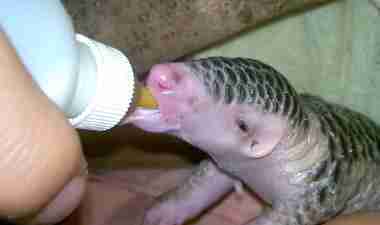 To help SVW care for these special baby pangolins, you can make a donation.